Enter a title for the action here. Enter a description for the action here. 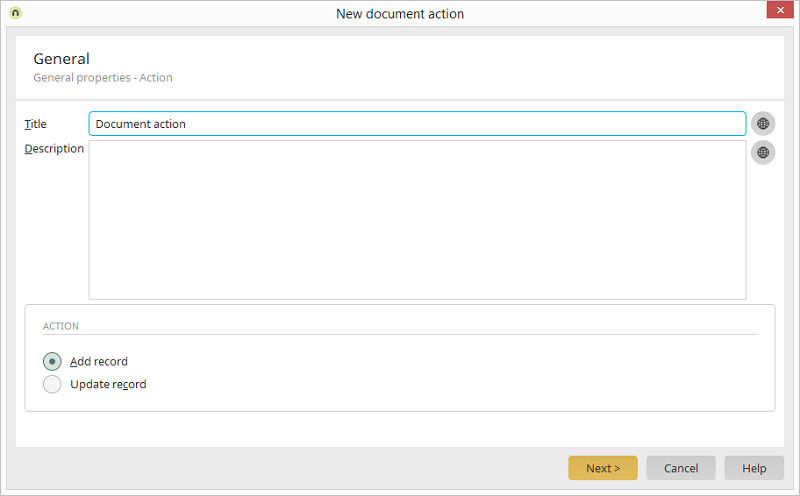 Creates a document when a new record is created in the data group; this data group can be defined in the next step. Creates a document when a record is edited.